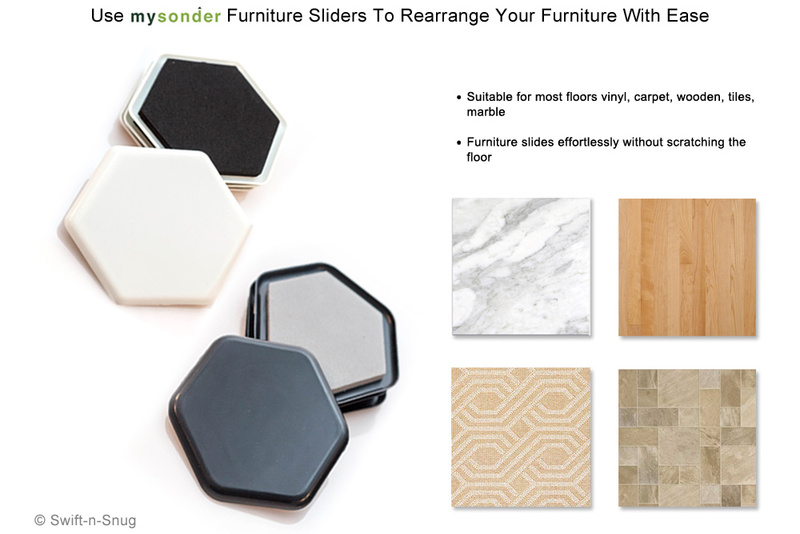 These furniture sliders from Mysonder are a life saver. These are great, just slide them under the legs of your furniture and then moving the furniture becomes a piece of cake!! There is a rubber insert on the inside to protect your furniture from any damage. The bottom is a slick plastic that easily slides over vinyl, carpet, wood, or ceramic. The slide so easily now you can move a big piece of furniture all by yourself!! Since they are a slick plastic material they will not scratch or damage your floors either. I use these all the time when I’m rearranging my furniture for the hundredth time and my husband refuses to help me! Work great! You get four of two different sizes so you can use the ones that work best for what you are moving!! You can purchase these sliders on their website!